Here’s an interview I did with Reuters – this has appeared in media as far-flung as the Hindustan Times. Reuters writer David Cutler put this one together and did a great job. 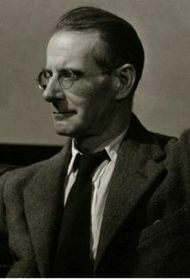 When the Irish 20th century playwright Sean O’Casey (above) came to write his autobiography, he failed to mention the impoverished last decade of his only sister’s life. It was this act of ‘literary murder’ that prompted Irish writer Mary Morrissy to write The Rising of Bella Casey, published under the Brandon imprint by O’Brien Press, Ireland’s leading children’s publisher, in its first foray into adult fiction. Morrissy, a historical novelist who has been described as “Ireland’s Hilary Mantel”, published her first novel, Mother of Pearl, in 1995. Her second novel, The Pretender, was the fictional portrait of a woman who convinced the world she was the Grand Duchess Anastasia and had survived the slaughter of Russia’s Tsar Nicholas II and his family by the Bolsheviks in 1918. Q: What is the historical background to the novel? A: The Rising of Bella Casey is about Sean O’Casey’s sister, Isabella Charlotte Casey, who likely inspired some of his female characters. She ended her days as a charwoman (cleaning lady) in Dublin’s notorious slums of the 1900s. Bella was 15 years older than Sean O’Casey and like a second mother to him; not only that but it’s clear that, as a child, he adored her. Q: Why did O’Casey reject his sister? A: Bella was a bright, clever girl, who trained as a primary schoolteacher, which was unusual in 1880’s Dublin. But an unsuitable marriage to a hard-drinking British Army soldier put paid to Bella’s upward mobility. O’Casey, who was 12 at the time, was angry that his sister had traded her superior education “for the romance of a crimson coat”. Q: Why fiction over fact? A: My work explores the grey area between fiction and biography and my characters are inspired by real people. Bella Casey only existed in O’Casey’s autobiographical words, including the texts archived in the New York Public Library. I restore those missing years in my third novel and explore what led to Bella’s fall from grace. The absence of documentary evidence is a nightmare for the biographer, but for the novelist, it can be a blessing. Q: What does the novel illustrate? A: The novel is about sisterhood – sisterhood, that is, with a small ‘s’ – and disappointment: hers, and his disappointment in her. It is fiction so it’s speculative – it’s more what might have been. I think Bella’s hard life may have become the raw material for her brother’s plays and informed his female characters. Q: Do Irish history and politics figure in the novel? A: The large sweep of history is the other character. The novel covers the turbulent years of early 20th century Ireland and she witnessed the September 1913 lockout when 20,000 striking workers brought Dublin to a standstill, the outbreak of World War One and the fateful Easter Rising of 1916 before she succumbed to Spanish flu in a cruel twist of fate at the start of the epidemic in 1918. Politics and religion also played its part in the estrangement between O’Casey and his sister. The family was Protestant and loyal to the crown, two of O’Casey’s brothers served in the British Army. But O’Casey broke with his own tradition and became a nationalist, a socialist and an atheist. He also became a controversial playwright. When his play The Plough and the Stars, centred around the events of the Easter Rising in 1916, was staged at Dublin’s Abbey Theatre, there was a riot in the auditorium over his unflattering portrait of the city’s inhabitants, looting while people died around them. Great interview, Mary. I am looking forward to reading your Bella very much. Mary, could I interview you at my blog, after I have read the book? Mary, I have just finished reading the Rising of Bella Casey. It is superlative. Thank you for this powerful reimagining.